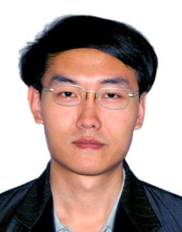 Yang Chen has been a Science Office at the WG1 TSU since October 2016, during the 44th Session of the IPCC. He followed Chapter 3 of the IPCC Special Report on Global Warming of 1.5°C, and now is working the main WG1 report. The main task assigned to him is to follow progresses about weather and climate extremes, including observation, detection and attribution, as well as projection. He will provide scientific supports to related chapters in the AR6 cycle. He is now based in Beijing, holding a position of associate professor in Chinese Academy of Meteorological Sciences, China Meteorological Administration. He received his Ph. D. in climate system and climate change in 2016, and his academic interests mainly lie in climate extremes.